May used to be National Guide Dog month until 2010 when they inexplicably moved it to September which, nobody saw coming. And there are others. 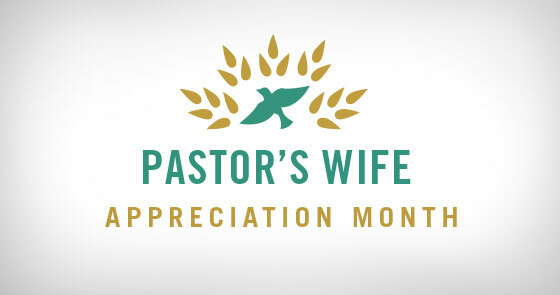 This month, I learned, is Pastor’s Wife appreciation month. I’m not sure if this is a rant or a constructive thought, but here it is. A pastor’s wife needs to be appreciated, as does an accountant’s wife, a butcher’s wife, a dentist’s wife… you get the picture. Every member of the local congregation needs to be appreciated and not taken for granted especially those who work behind the scenes and make the public folks look better than they really are (1 Corinthians 12:22-26). Something about a month of “appreciating” the pastor’s wife communicates to me that it’s an area we aren’t very good at. Sort of like a hospitality committee (you know, because we stink at just being hospitable so we need a committee to organize and announce how hospitable we are). But beyond that, when is the last time, ladies, you wanted to be identified by what your husband does for a living? I’ve not yet heard of someone introducing herself by telling what her husband does for a living and that explaining everything you need to know about her. And while on that subject, I also haven’t asked a mechanic’s wife what she thought the smell was coming from my engine compartment or an engineer’s wife to design a flux capacitor for me. (incidentally, this is not intended to be a sexist rant. I am aware that there are female mechanics and engineers. In that case I wouldn’t ask the husband of an engineer to design me a flux capacitor (unless of course the husband AND wife were engineers or maybe an engineer and a chemist (I’m looking at you Jack and Paige), then I’d have the baddest time traveling DeLorean in the neighborhood!)). And yet, just as each of us has a unique calling and need for grace, so to the Pastor’s wife. Not more grace, not some special seat (or parking space) but grace uniquely fit to each of person to match their gifts and needs in their desire to live out the gospel where God has put them. I know one woman who told her ridiculously good-looking boyfriend that the one thing she did not want to be was a pastor’s wife. Ten years later they were heading into seminary and down that rabbit hole. I know a pastor who was told by an elder in his church that his wife wasn’t qualified to teach… Sunday School… to three-year-olds! I know another pastor’s wife who worked full-time the entire time her husband was a pastor and the church complained about how unavailable she was. Shy pastor’s wives are criticized for not being more involved. Outspoken pastor’s wives are accused of abusing their position. Consider: a pastor’s wife does not get to leave the church when “things just aren’t going well,” or she just “isn’t feeling connected,” or there just isn’t enough for her kids. 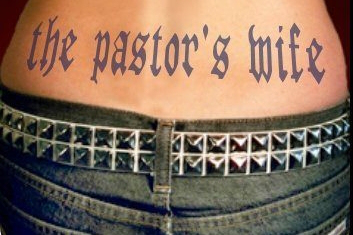 Most pastor’s wives outlive their husbands, which adds injury to insult. Let’s face it, most pastors’ idea of a retirement plan is, “preach till I die.” And most churches can’t afford much more than a “be warm and well-fed” model themselves. While other members of the church may know, theoretically, that their pastor is a sinner, the pastor’s wife experiences daily that her pastor is a sinner in as much need of the grace he is preaching as anyone. Pastor’s wives are people—sinners saved by grace alone. They have gifts, just like other members, but that does not mean necessarily gifts just like their husbands. Some are gifted teachers and communicators. Some are terrified of public speaking. Some are gifted counselors. Some are not. Some have the gift of hospitality. Some do not. I haven’t met every pastor’s wife nor even most, but I can draw some conclusions from the ones I’ve met. ALL of them need friends. But what does that look like for the woman who happens to be married to the pastor? Ladies in the church, do not assume that your pastor’s wife is cold or uninterested in friendship with you. She is navigating what feels like treacherous waters. Does she have confidants in the church where her husband, let’s face it, makes his living? “I feel like my husband has time for everyone but me.” That’s your pastor she’s talking about. “Please pray for my marriage.” That’s your pastor’s marriage she’s talking about. “We haven’t had a raise in five years, and I my husband’s considering another change, but I don’t know if kids or I can take another move.” That’s your pastor and your church she’s talking about. This pastor’s wife (not “this pastor’s wife,” this pastor – me – his wife – my wife. Confused yet? Anyway)—this pastor’s wife, in the years after she became that which she swore she could never be, has come face to face with the many fears she had in expressing her resolve never to be one. Some of those challenges have come from cruel people, but some have come from well-meaning friends and some have come from facing her own idols and need for Christ’s forgiveness and grace. This pastor’s wife has also sat in his office with him and prayed through tears for the precious church God has called them to; she has spent hundreds and thousands of hours caring for and serving their church; she has poured herself out in prayer for the church and their sinner-of-a-pastor; she would give anything for the children and teens of the church and the community and can often be found at a middle school or high school volunteering or subbing. So, yes, appreciate the wife of your pastor. She is seeking to do that which God has called her to do – to love her husband, raise her children, love Christ’s bride and love the lost. If it takes a special month to bring her to your mind then start this month. Show her the grace and patience you desire and need from others. Bear with her and love her like any other member of your awesome church. Then, I don’t know, go crazy, appreciate her in June too.